The Brazilian striker immediately justified his transfer in the 1993-94 season, when he produced a spectacular 30 goals in the 33 league games he appeared in. His qualities were nothing short of magical, and manager Jorge Valdano was once moved to describe him as “a comic book player”. He could dribble, he was fast, and he could change his pace, lose his marker and shoot on goal in superlative fashion. He was the final piece of the ‘Dream Team’ jigsaw, a high-scoring striker. 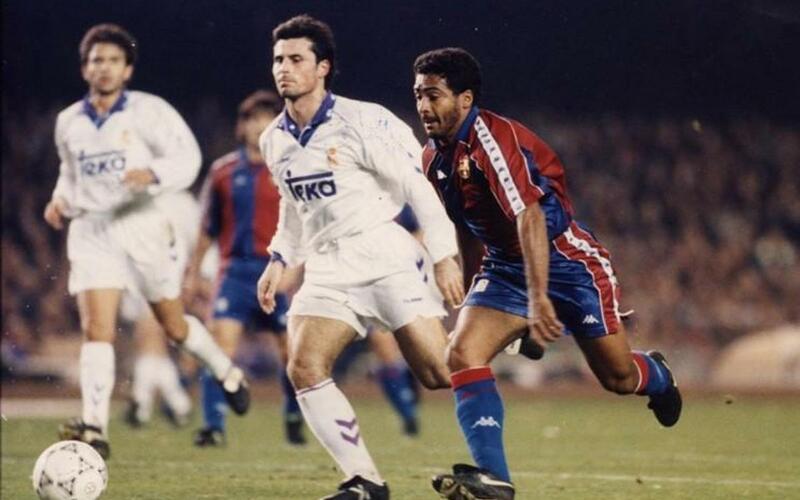 In the summer of 1994, after winning the league with Barça, Romario also had a wonderful FIFA World Cup in the USA, winning the title with Brazil and being named Player of the Tournament. Unfortunately, that was when the controversial side to the player also came to the fore. He took more days holiday than he was allowed and that led to his premature departure from the Club in 1995, whereupon he signed for Flamengo.